What is Democracy in the Internet Age? An interview with Santiago Siri, founder of Democracy Earth, about blockchain-based voting technology, and becoming a “gatekeeper” of the voting process. As we continue to explore blockchain’s potential impact on the world, we are paying particular attention during this election season to those individuals and organizations who are using this technology to address issues such as security, transparency, sovereignty, and identity. One such organization is the Democracy Earth Foundation, founded by Santiago Siri. A new movement says that crypto-voting can purify democracy—and eventually eliminate the need for governments altogether. We recently spoke with Santiago for our Built on Blockchain documentary series, and the more we learned about, and from, Santiago, the more clear it became why he has so quickly emerged as such a compelling voice in the blockchain space. Thank you so much for speaking with us Santiago. Let’s begin with having you tell us a little bit about the organization you founded, Democracy Earth. Democracy Earth is focused on building incorruptible technology for governance. Our tactic to reach that goal is using blockchain-based technology for voting. We have a track record of being engaged with politics in Latin America. We have started a political party in Argentina. Today, we are working with activist organizations all across Latin America, Europe, and Southeast Asia in order to advance a new idea around governance and democracy that is purely digital, and decentralized—we are trying to answer the question of what democracy is in the internet age. Does “the internet age” make information-sharing possible in a way that re-defines what democracy is and can be? Information has always played a liberating force. For example, I’ve met with Cuban journalists who’ve told me how important it was back in the ’80s to use floppy disks, so they were able to send their articles to journalists abroad, to get them published. Fast forward to today, and the rise of social media, and you can see how important it has been for all kinds of movements that have emerged in the last couple of years—from new feminist movements rising up across the world to Black Lives Matter. All of these new waves of political energy seems to be united under a hashtag, and that’s a very powerful signal of how digital technology empowers voices. How does blockchain fit into this concept of digital empowerment? The new rise of decentralized networks—blockchain-based technologies, encryption—are ways of coding not just reliable financial software, but also, they can code human rights. They can code access and permissions in a way that was not possible before. Especially for those voices that are suffering oppressive regimes, and that are not finding ways to communicate, to connect, and to engage in a public way, they can start relying on these technologies to organize politically. What does it mean to “code” human rights? From a software point of view and a digital mindset, I view the question of rights as being related to access—who gets access to what system. Ultimately, systems boil down to the range of possible actions that you can have within a possible set of choices. In that respect, encryption and the use of modern cryptography can help build systems where the rights of the users are guaranteed in a way where the promises are kept through the means of mathematics and not through the means of what some kind of authority promises you. An analogy to describe a blockchain is that it is an automated bureaucracy. Bureaucracies serve the function of validating trust in society, whether it’s to validate certificates, to validate transactions, to validate currency, you name it. Blockchains are able to serve that same function without relying on the use of authority. Civilization advances with every task that it’s able to automate and blockchains are providing a way of automating many of the tasks that have been manually held by lawyers, accountants, notaries, and all kinds of bureaucratic roles, even down to the politicians themselves. Does automating mechanisms of trust in society serve to return a degree of power to the individual? And if so, can you provide an example? Today we’re in a situation where we’re giving our passwords to companies in order to get access to our own data in their own servers. We’re not in a sovereign control of our own information. By using a blockchain to provide us the permissions and access to information online, we get to be the sovereign owners of our own private cases. We get to control our own passwords. The idea of “personal sovereignty” goes a good deal beyond what most people associate blockchain with, which is bitcoin. How does blockchain emerge from the suspicions many still harbor about cryptocurrencies? There’s a lot of greed driving the blockchain industry because of the financial possibilities that it enables, but blockchains are also really about trust. Around trust, there are a lot of operations other than currency that can be constructed. In our view, we have found many interesting cases to apply this technology that relate to the core of how democracy works. One aspect of it is identity. Can blockchain become a force for good in the arena of identity and politics? And if so, how? Here’s an example: Right now there are 65 million refugees in the world. No single nation-state is willing to give them rights or identity or means of basic survival, so it’s a very big humanitarian cost. But providing technologies that will not ask for any kind of reputation or credentials in order to get started using them offers great possibilities for the refugees in the world right now, because it’s an alternative that could actually work for them. So blockchain can actually work to establish a viable digital form of citizenship? We certainly need to build new notions of citizenship that are global, and with the use of these technologies we can start creating new sources of legitimacy that are built peer-to-peer, human to human, on a global level, rather than through the inner workings of traditional politics and nation-state-based mindset. Another concept—and this is the one we’re working at Democracy Earth—is borderless democracy. Is this idea of “borderless democracy” where we start to see blockchain’s potential impact on the electoral process? Yes, because we can start creating ways of governance that—because they are purely digital—are transnational by default, and because they run on blockchains, the immutability aspect of the blockchain means that no one can tamper with votes, so you have this basic guarantee that turns every voter, in a permissionless way, into the gatekeeper of the election. There is no authority doing the final counting of the votes, because every voter actually gets the right to count the votes by default, and by design. In that respect, the potential for blockchain-based technology related to democracy is enormous. But certainly there must be some sort of validating “authority” if an election is to be considered legitimate? How does blockchain perform that role? The interesting thing about blockchains is that they decentralize authority. The very concept of authority is no longer there. It’s completely replaced by a distributed computing consensus mechanism. In that way, you can start storing the votes in a way that no one can tamper with the database and anyone can see those transactions in a permissionless way, in a transparent way, and everyone can process and analyze that data in order to count the votes without having to become a party member, a party authority, or a government official. Everyone gets to be the gatekeeper of the electoral process, of the democracy. Thank you Santiago, for sharing your vision and knowledge with us! Udacity has been committed to the democratization of education since our inception, and we share with you a passion for leveraging technology to support global inclusion. We look forward to watching Democracy Earth’s progress, and to exploring all the ways blockchain can power social good across the planet. To learn more about blockchain’s potential influence on the world, we encourage you to watch Built on Blockchain, our six-part original documentary series that focuses on how activists and entrepreneurs are building solutions that could have a profound impact on politics, society, and our daily lives. Are you interested in learning this transformational technology yourself? 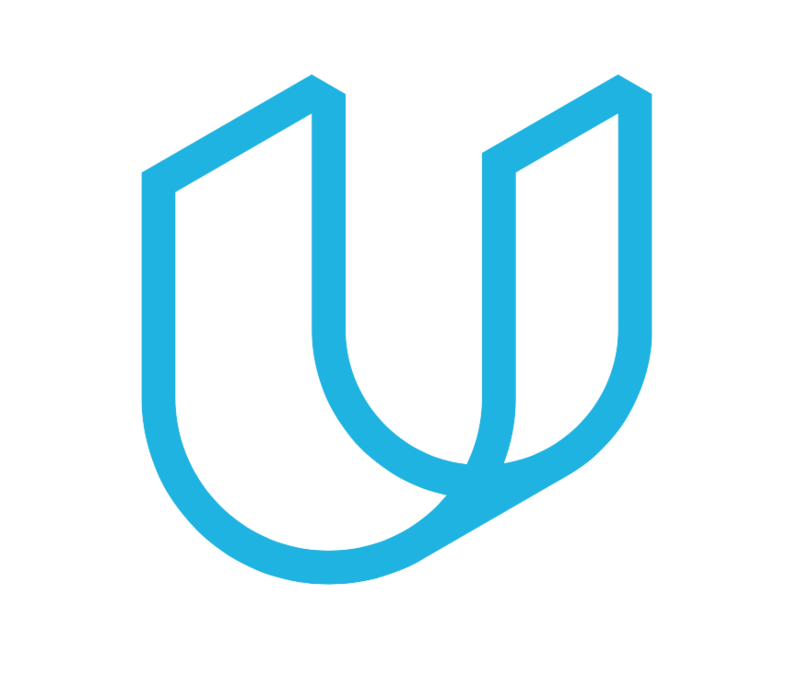 Then we invite you to enroll in Udacity’s Blockchain Developer Nanodegree program! Scott Foreman is an Emmy nominated writer, director, and cinematographer. He has produced content for the New York Times, Inc. Magazine and PBS. His passion is producing documentaries which focus on change makers. ← The new Digital Freelancer Nanodegree program launches in MENA!